1 .Taiwan ITS is the ISO qualified hoist pendant control supplier. 2 . ITS pendant controls keep very competitive price but it still having long service life. 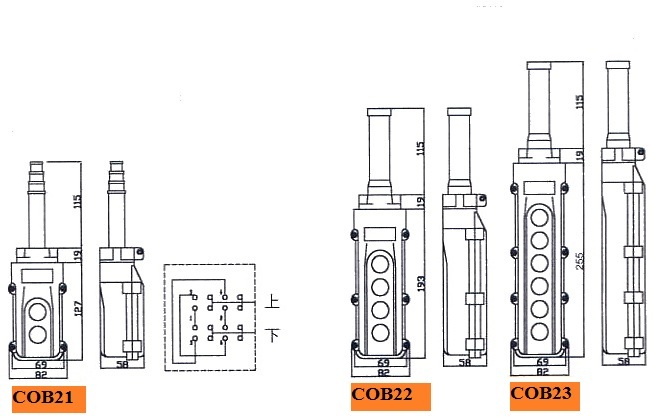 3 .ITS pendant controls are high mechanical strength, shock resistant, reasonable structure, safe and reliable. 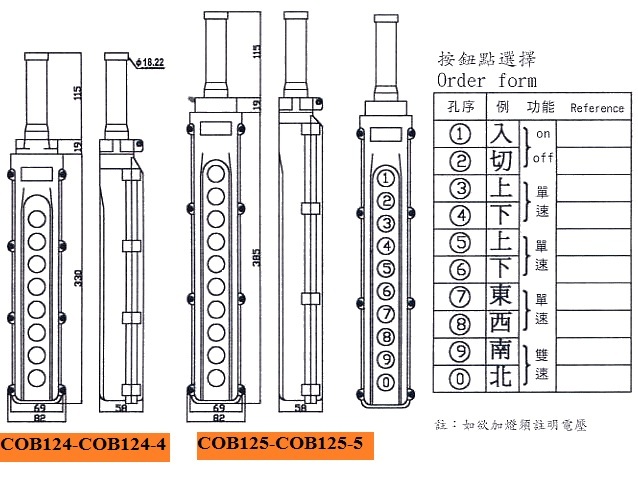 4 .Contact uses Taiwan made silver contactor, not only can endure high current also good conductivity. 5 . ITS controls are providing with unique mechanical interlock and circuit interlock design, which can help prevent short-circuit and ensure safety. 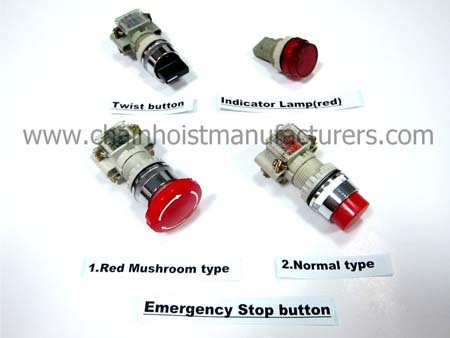 6 .Taiwan ITS pendant control can be customized with emergency stop button, Indicator lamp(red), on/off push button switch, twist button, or key switch etc. 1 .The ABS resin housing provides good insulation and with rubber protective casings. 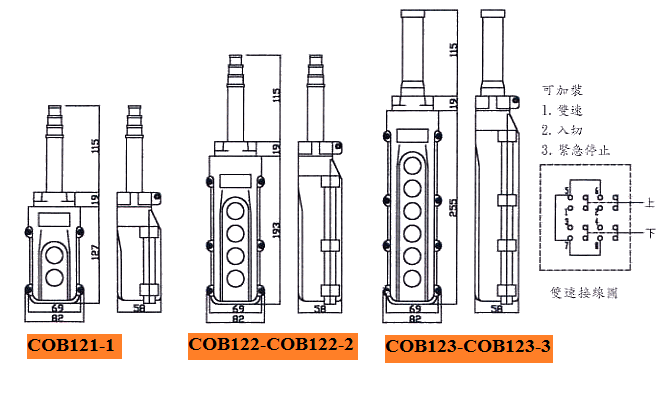 3 .Model COB 213A (Direct Operation) is specially used for DC current motor directly. Above is our standard model, and all of our ITS pendant controls can be customized by buyer. - You can get competitive price! - You can get fast and best service! - Click INQUIRY today for Winner’s Choice! - Add our Skype Account: its168 now and save your huge time. 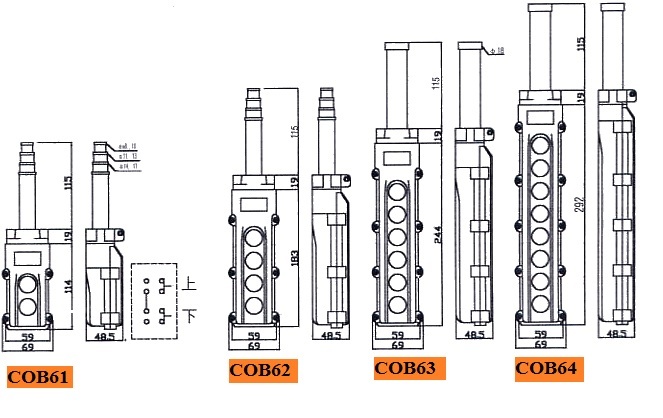 1 .ITS pendant stations are typically used for crane applications, but can also utilized to control other types of motors and electrical and mechanical machines. 2 .ITS series hoist pendant controls are water and dust resistant also suitable for outdoor application. 3 .ITS series button switches used for power supply Input (X1 & X2): 380 V AC or 48 V AC, 50/60 HZ, rated current up to 15A. 5 .ITS pendant controls are quality custom products. We have different options you can choose, for example, Emergency Stop Button, Twist Button, Key Twist Button, Red Indicator Lamp etc.